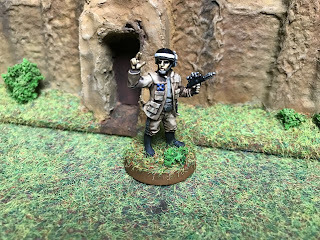 Along with the Star Wars: Legion Leia Organa set I got recently, I also got a box of Rebel Fleet Troopers. These are the guys on the Tantive IV at the beginning of Star Wars and have a pretty cool uniform in my opinion. When we were kids we were convinced that one of these troopers in Star Wars was actually George Lucas in a cameo role. The models were simple to paint and I added a little gloss varnish to their helmets go make them shiny like in the films. 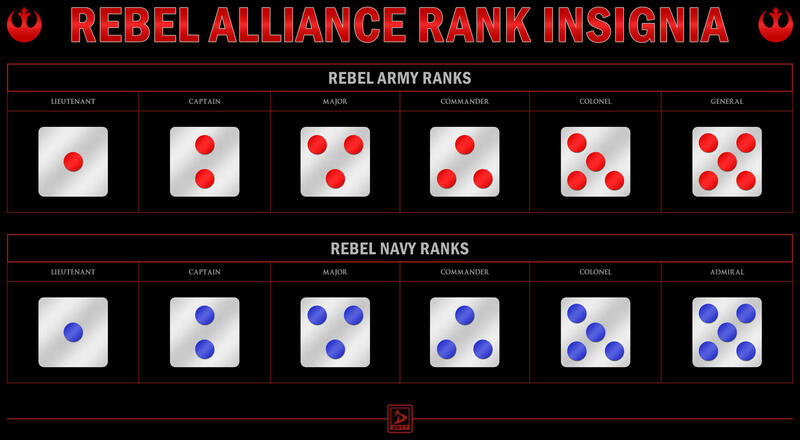 Along with the six troopers is a leader, an Admiral, according to his badge of insignia. I am not sure if I will use him in the unit or as a separate commander, one that isn't a personality from the films. If I do, I will have to come up with some stats for him, but that shouldn't be too difficult. 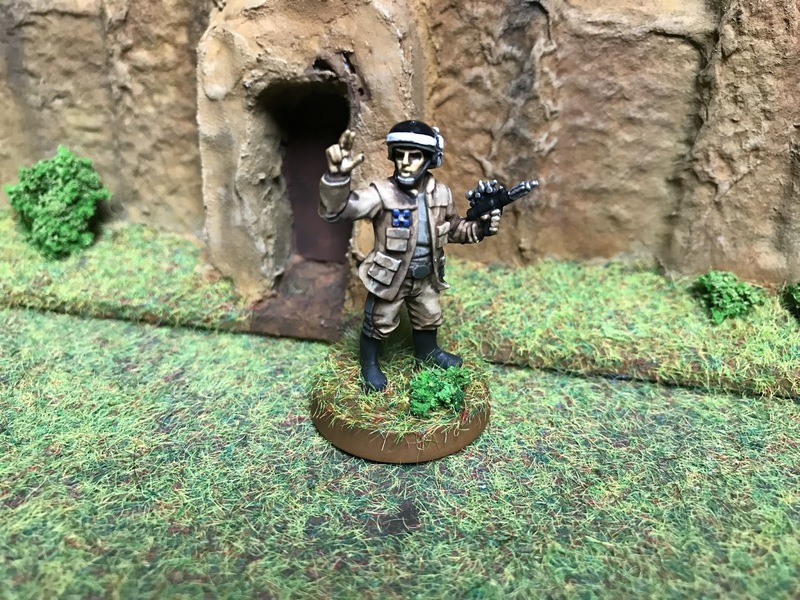 I really like the look of these troopers and will buy a few more boxes of them in the future to flesh out a platoon of them, but that is something for the future! Also, please check out the Storm of Steel t-shirts on the sidebar, available from Amazon.co.uk and all designed by myself and all priced at £14.99! Click on the pictures for more information. Thank you! Great minds think alike! Love em, yet again your posting stuff just to tempt me! Cool, they look spot on.